Use the Add Class button to quickly add a class on the fly! 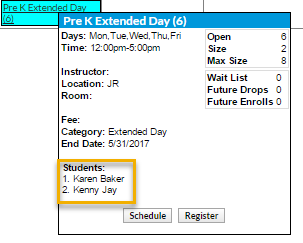 You can also add a class into a specific time slot. See feature #5. 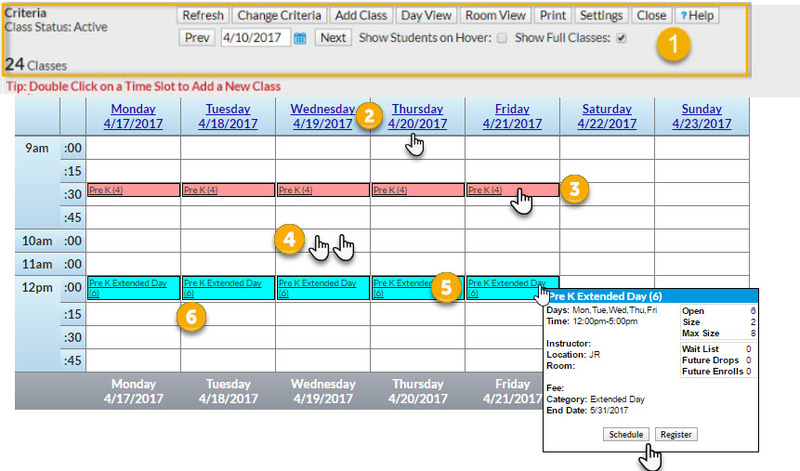 Select Show Students to add the scheduled students' names to the class information that displays when you rest your mouse pointer over the class on the calendar (hover without clicking). See feature #6 for more information on that class information window. The Show Full Classes checkbox defaults to checked to display full classes as well as classes with openings. 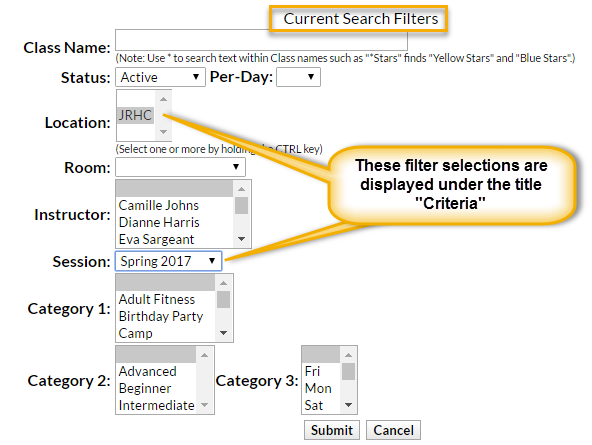 Clear the check box to hide classes that are full which makes it easier to find a class with an opening to enroll a student in. 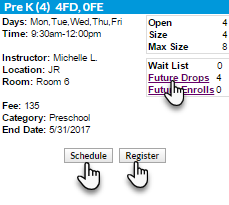 Hold your mouse pointer over a class (hover) to open a window with a window with a summary of class information including openings, future drops and enrolls, absences, makeups, and more. To include the names of all enrolled students click the Show Students check box in the criteria/settings area. 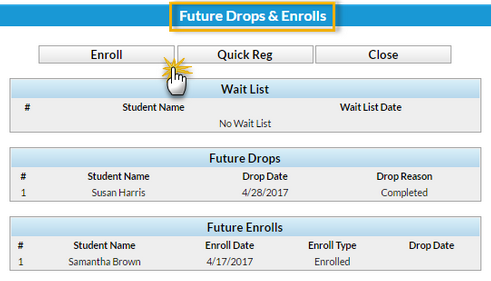 Click the link for any of Future Drops, Future Enrolls, Absences, or Makeups to open a window with more detail including student names. Click the Enroll button to enroll an existing student into the class or click the Register button to open the Quick Registration Form to add a new family and enroll a student in the class. If the class is full you will see CLASS FULL and a Waitlist button, click to add a student to the class waitlist. Once the waitlist is also full the button will drop off and you will only see CLASS FULL.